Zambezi Valley, Zimbabwe, April 2016: American hunter Phillip Glass stands over a lion that he hunted for sport. Thursday, we begin our coverage of Sundance with the documentary Trophy. 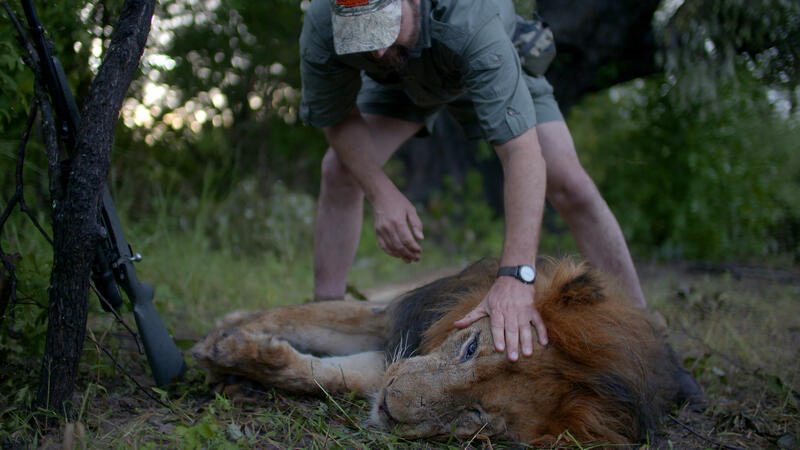 Filmmakers Shaul Shwarz and Christina Clusiau followed hunters, breeders, and conservationists to ask what we do to save the great species of the world from extinction. The high cost of trophy hunting trips to Africa often fund conservation efforts and communities, but critics say there’s a danger in treating animals like commodities. Schwarz and Clusiau join Doug to talk about that relationship between hunting and conservation. Tuesday, we’re asking this question: why do people hunt? In the wake of the killing of a treasured lion in Zimbabwe earlier this year, hunters around the world – especially trophy hunters – were forced to justify themselves. 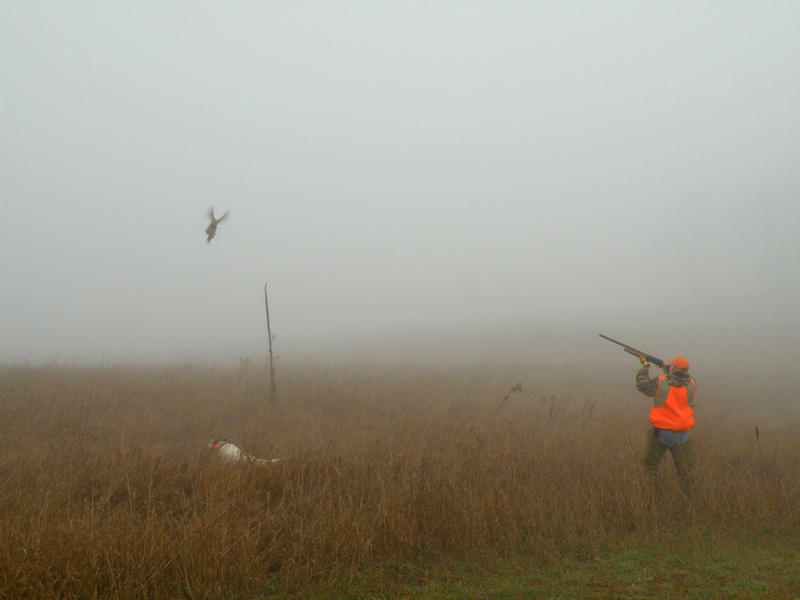 Some hunters argue that hunting is an effective conservation tool. Others say hunting yields a deep connection to both nature and millions of years of human history, not to mention delicious meat. A panel of guests will join us to explore the issue and we hope to hear from you, too.